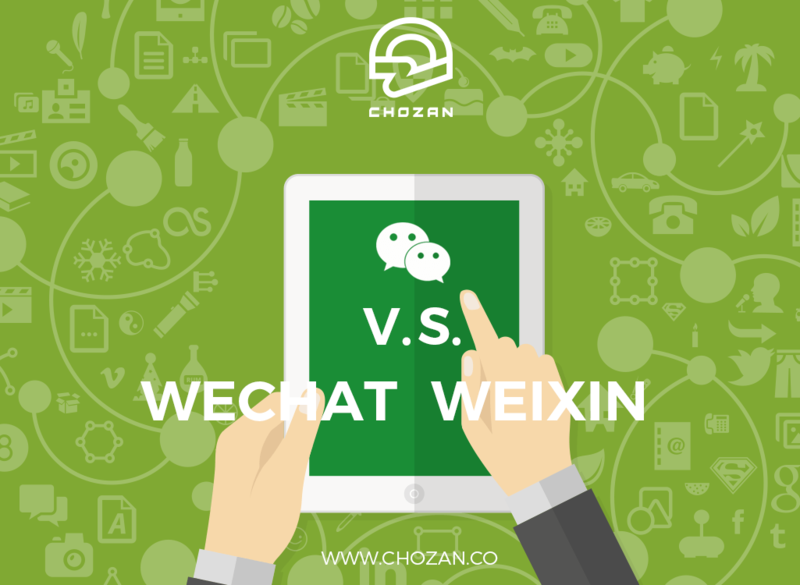 Many people think that WeChat and Weixin are the same, and that Weixin is only the Chinese name of WeChat. In fact, it is not entirely so. Weixin is the version for mainland users, while WeChat is designed for overseas users, and they don’t belong to the same system or servers. Though they have similar interfaces and many common functions, these two apps are different from each other in several aspects. Marketers who want to target customers in mainland China should be aware of these major differences, or they may lose potential customers. Note: In our articles on this blog, we generally refer to Weixin, the China-based version of WeChat by its English name WeChat. We’ve done this for the practical purpose of being more understandable to native English speakers and readers who are familiar with WeChat. However, there are two versions of WeChat, one for users based in mainland China and one for users based in other locations. To distinguish between the two versions in this article, we will refer to the mainland-based version as Weixin and the international version as WeChat. First of all, as mentioned above, Weixin and WeChat target different user groups in different regions. Weixin operates in mainland China while WeChat serves overseas users. When users go to the App Store and download the app, the version is determined, whether it is the Chinese version or the international one, by your phone number at your first login. You get Weixin if your phone number is based in mainland China (+86). If not, you get the international version, WeChat. Similarly, official WeChat accounts also differ from official Weixin account. Since Weixin and WeChat use different servers, the data of official accounts on WeChat and Weixin are stored in different places. 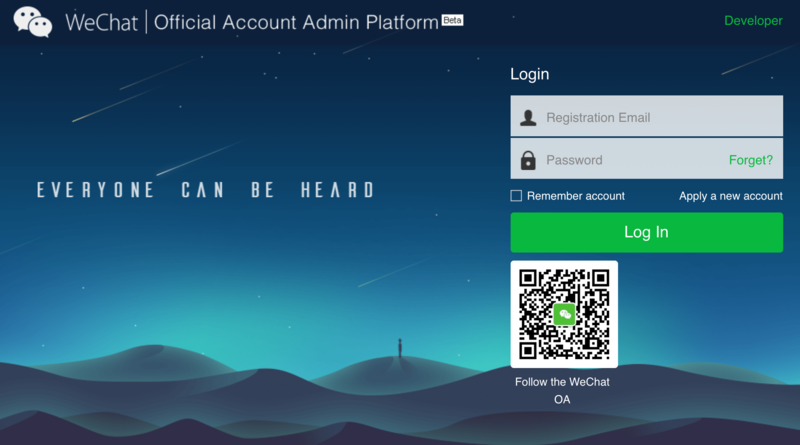 Weixin users, who are the potential clients you’re targeting, aren’t able to search for or subscribe to official WeChat accounts, which are available to overseas users. Also, they cannot participate in campaigns launched by or enjoy any privileged offered by official WeChat accounts due to strict censorship regulations in mainland China. However, WeChat users can search for official Weixin accounts and participate in their campaigns. 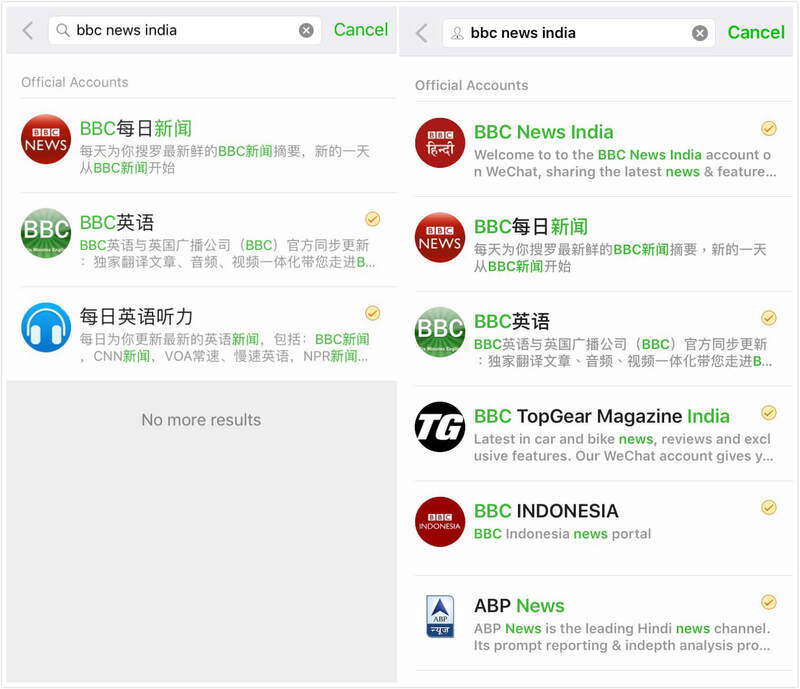 ↑ For example, when searching for the official account “BBC News India” on Weixin (left) and WeChat (right), there are different results shown on the two apps. You can see that the account “BBC News India” cannot be found on Weixin, as the account targets overseas users. Therefore, foreign marketers need to distinguish the two different versions of official accounts. For those targeting mainland users, they need to register an official Weixin account, and then go through the official procedures for activation and verification. By doing so, the account will be searchable and available to potential mainland customers, so they can promote their brands and products to these mainland users. Another huge difference lies in the two versions’ monetary function, “Wallet” (微信钱包). The Wallet function allows users to complete various kinds of transactions: purchasing movie tickets, making QR Code payment, transferring from banks or to friends, giving Red Packets (红包; red packets are monetary gifts which are given during holidays to friends or relatives in China, and Weixin made this tradition virtual and mobile) to friends and so on. For instance, Weixin users can pay for taxis and hotels with their Weixin wallet, either using their bankcards or wallet balance transferred from their bank accounts or from red packets given by their friends. 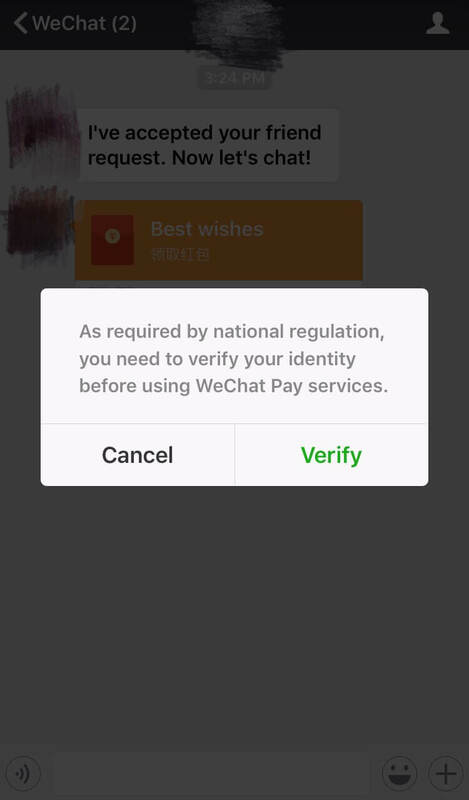 Nonetheless, WeChat users in foreign regions don’t have the wallet function shown in the WeChat interface before authentication, and only have limited functions displayed even after authentication. The ability to use the wallet outside of China is generally rather limited, except in South Africa. ↑ If WeChat users want to open the red packets and receive the money inside, they need to finish authentication first. The rationale behind it is that the Wallet functions of WeChat and Weixin are operated in different regions, namely the “China wallet region” and “Foreign wallet region”. As the two regions use different currencies and have different financial regulations, WeChat and Weixin depend on different third-party payment systems. Even though WeChat users activate their wallet functions, they still could neither transfer money from their foreign bank accounts to their WeChat Wallets, nor withdraw money from their WeChat Wallets. 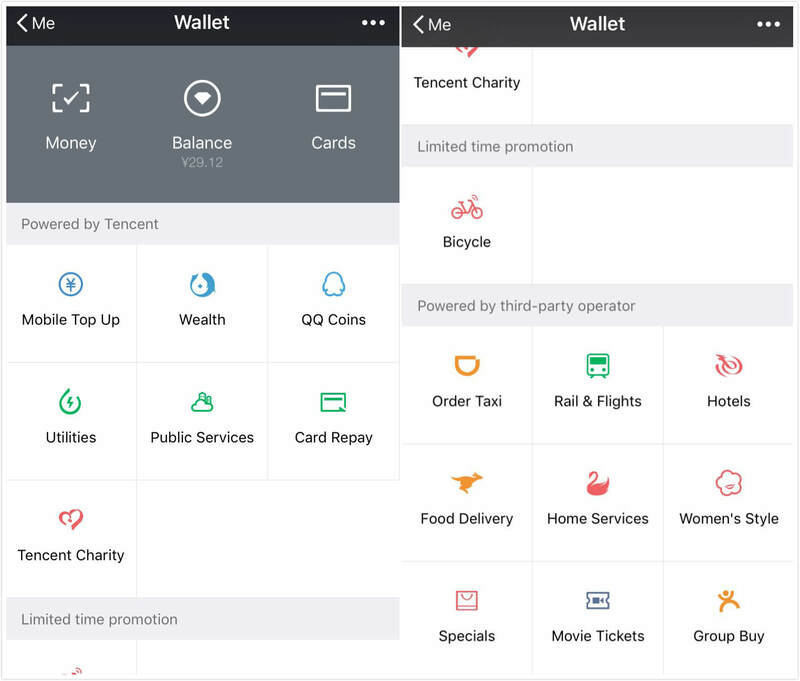 Moreover, the services provided in the Wallet function for WeChat users and Weixin users are different as well, with Weixin users having more options. For foreigners who live in China or have the willingness to do business with mainland Chinese people, getting a Weixin account would make it more convenient. 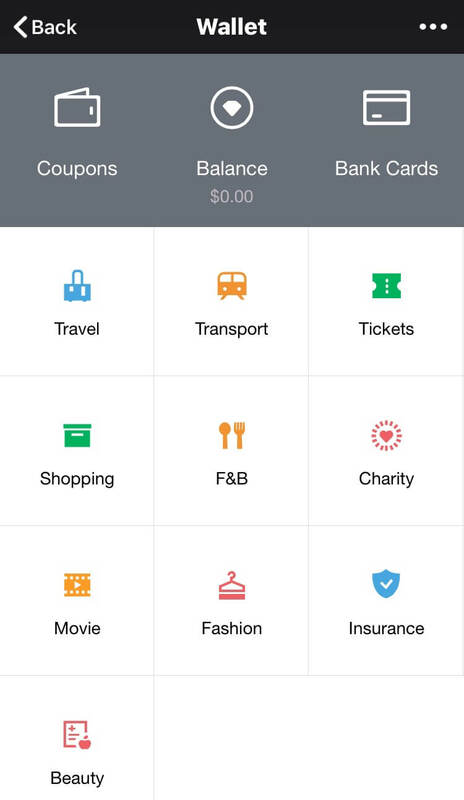 ↑ Compared to the money-related services provided for WeChat users (above), Weixin users have more options (below). Other functions also differ relatively slightly between the two apps. For example, the game centers in different regions show different games. 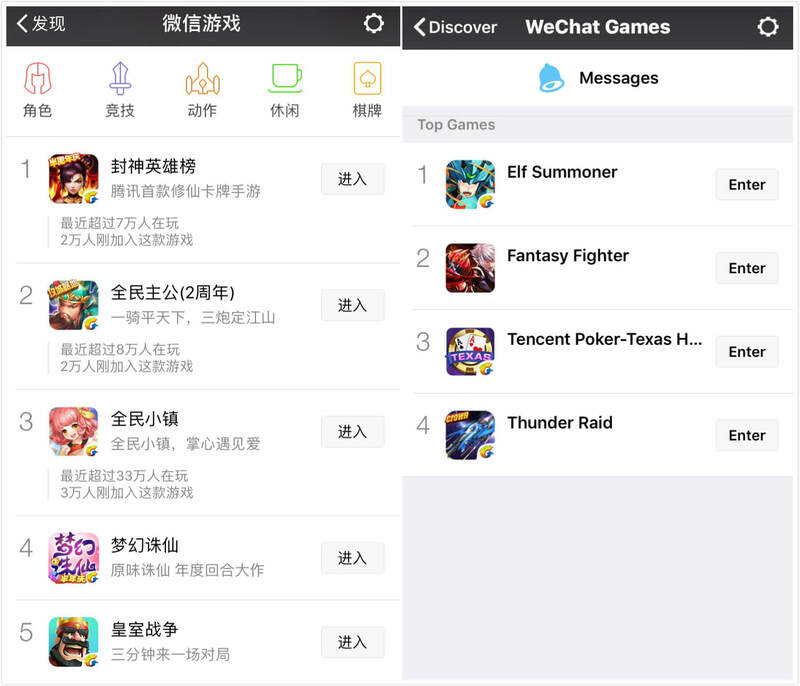 ↑ There are differences between Weixin Game Center (left) and WeChat Game Center (right). In sum, WeChat and Weixin are two different things and marketers can’t approach potential mainland Chinese clients and customers using the overseas version, WeChat. If a brand wants to target customers in mainland China and avoid the inconveniences caused by the functional differences between two versions, they need to register an official Weixin account, instead of an official WeChat account, to do marketing.